Published in New Spirit Journal News in May 2006, was one of the first features of Ginger’s Pet Rescue, still available online in full here. Author Krysta Gibson offers an inside look into how Ginger’s Pet Rescue founder Ginger Luke fell into dog rescue. In her words, “It all began with a dog who barked,” … a cry for help. 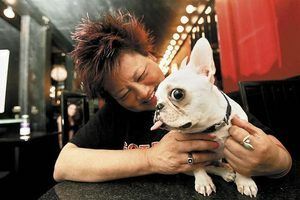 It all began with a dog who barked when Ginger‘s husband delivered dinner to a house near their Rickshaw Restaurant on North 105th Street in Seattle. “My husband said that every time he went to this house, he could hear a dog barking continuously, but never saw a dog. I have been an animal lover my whole life, so I decided to make the delivery the next time,” says Ginger Luke of Ginger‘s Pet Rescue. “I arrived at the house and heard the dog barking. I asked the man who lived there why the dog was barking so much. As she was driving home, Ginger noticed that the dog’s collar was so tight it was almost embedded into the dog’s skin. So she took it off. When she took the dog to the vet they discovered the dog was flea-infested, had serious ear mites, and an infected mouth. All of the dog’s teeth had to be removed. A friend of Ginger‘s who owns Dandelion Dog Rescue had a friend who adopted this dog after paying the vet bill of several thousand dollars. The woman is deaf and Barney is now her service dog and goes everywhere with her. It was a happy ending to the otherwise bleak story. in Ellensburg. Katie is a happy hound dog now! “Many of these smaller shelters are old and outdated due to lack of funding. 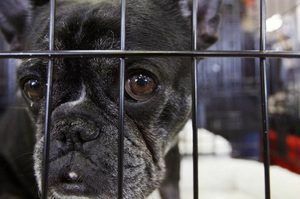 People don’t always think to go to the smaller shelters so these shelters end up having to put dogs down because they don’t have room to keep them and their adoption rates are lower than big cities. At the bigger shelters there are so many dogs that people get confused. And when you go to Pet Finder, there are thousands of dogs listed so people have a difficult time making a decision,” Ginger explains. By focusing her efforts on one to two dogs at a time, Ginger is successful in finding homes for them. In the back of her restaurant Ginger has put up a display board showing dogs who are available for adoption as well as photos of some of her success stories. One of them is Yula. 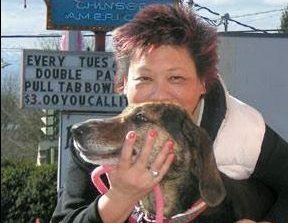 She found him a home the day before he was to be put down by a surprising morning email sent by a man named Chuck who ended up taking the day off to rush to Ellensburg to save her. That was an 11th hour rescue and one of Ginger’s favorite stories. Yula being chained for 6 years turned out to be one of the best dog ever Chuck told Ginger. Up to date, she has now saved 54 dogs in 13 weeks now. All dogs must be spayed or neutered prior to placement and she does a home visit as well as follow-ups to see how the adoption works out. How does Ginger find time for this venture? 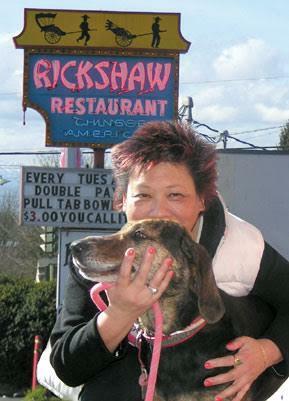 She has owned the Rickshaw Restaurant for 30 years and has a great staff, she says. Even with being open seven days a week, 18 hours a day, she finds that rescuing dogs and helping to find them homes brings her a joy and satisfaction she can’t find elsewhere. She believes that if a person wants to find the time to do something, they can. To be put on Ginger’s e-mail list so you can be notified of dogs needing homes or of lost pets — or if you can provide a temporary foster home — write to Ginger at gingerluke@comcast.net. Also, it is important to remember that dogs who have spent time in a shelter can have some behavior or health issues which might need resolving. 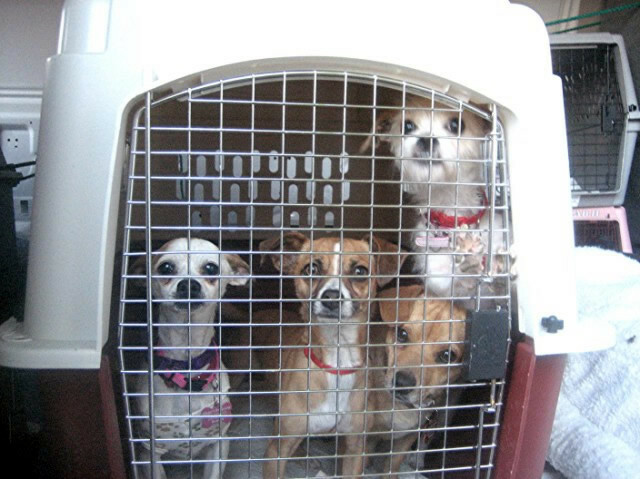 Be sure you are willing and able to handle such possibilities prior to adopting any particular dog.